Our Dedo Bi-colour LED 40w 3-Head Kit is a focusing LED bicolour kit. For those who need a sophisticated lighting kit that travels well, the Dedo 4 Head Bi Colour 40w LED packs into a single hard case that is incredibly durable. This Dedo light has a separate dimming controller to adjust the intensity of the light with no colour change. The 40w focuses like a true Dedo light from a wide 60° to extremely narrow 4°. The beam is clean– no stray light means no additional unwanted shadows. 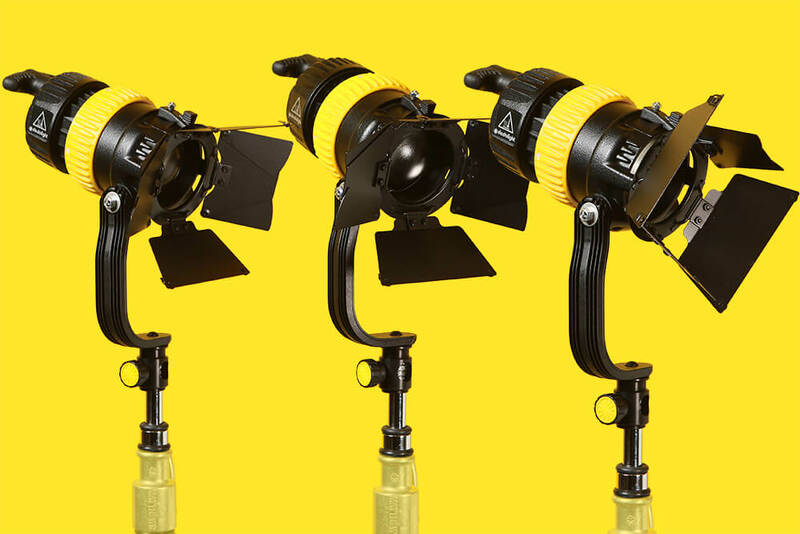 The light is multi-functional and versatile: perfect for interviews, drama and documentary lighting, for accents and special effects. These Dedo lights have an extremely wide flood and spot ratio. You can have just a slit of light with an incredibly smooth control and an even beam. As Dedo would say “paint with the light” This Dedo will create a very precise circle of light & greater zoom range than other similar lights.